It's already been a whole month since my last Pin-spired post?? Flew by this time! I'm linking up to Shay, Sheaffer, and Mel again to show you my Pinterest-inspiration find. Here is my pinterest inspiration. Love the stripes and the leopard! Don't you love my little friend in his snowman pajamas?? ha! I think he was getting ready to use the bathroom. So glad I didn't capture that! Striped Shirt: Gap, but it's sold out. This shirt is similar to mine. Vigoss Jeans: (I wear these ALL the time!) Here. Leopard Shoes: Mine are from Brassy Blueberries (keep reading) and sold out. Here is a cute option from Target. My friend, Narci, had them on yesterday and they were so cute! I hope next month it will be SO cold I have to wear a sweater for this post! 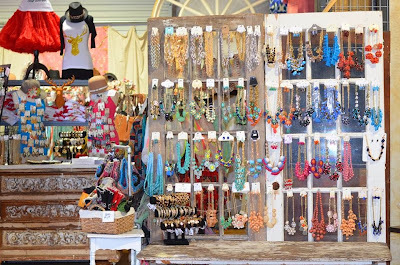 And...I'm also linking up with Darci over at The Good Life Blog, April at A.Liz Adventures, Christina at Carolina Charm, and Natasha at Hello! Happiness for 5 on Friday. Lots of linking today! I'm headed to Canton this weekend with my mom and one of her friends. (Bowen gets to tag along too!). Can't wait to find some treasures!! This is my friend, Whitney's, booth. I'm SO excited to see what new stuff she has for fall/winter. I'm sure I'll find something I HAVE to have!! 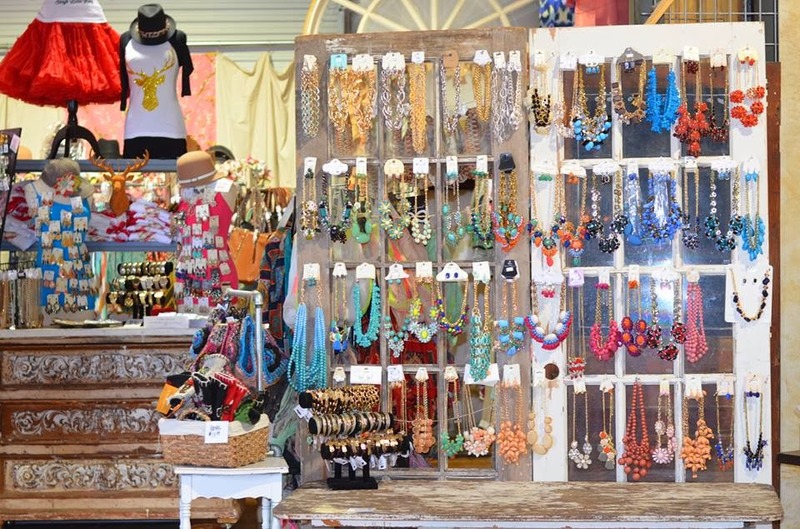 Brassy Blueberries on facebook...check them out! So thankful for these precious kiddos and the memories we get to make everyday! I have a special place in my heart for this red/black/grey (sometimes it's even brown) plaid!!! I found this yesterday at J.Crew Factory and had to get it. Can't wait to wear this!! Lucky Tab...if I didn't already have outfits for our family pictures this weekend, I would JUMP on the chance for us to wear red/black/grey and tie this in! One year...both kiddos had some red plaid from Gap. This picture cracks me up!! I had all these sweet little girls at my house on Wednesday for a little girls-only Halloween party. I'll share more pictures next week. They were so sweet and girly!! This was ALL the loot from last night's trick-or-treating. The kid's dentist collects candy (gives the kiddos a treat for turning it in) and sends it to soldiers overseas. So...I thought that was a GREAT thing to participate in! They're going to choose a few of their very favorites to keep and then we're going to drop off the rest tomorrow. Me AND my waistline will be happy to see it all go! ha! You will look so cute in that plaid shirt! Love it! And thank you again for the girls' Halloween party...Kensington has talked about it non-stop! 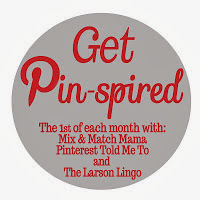 Happy Pin-spired to you! Obsessed with those leopard flats!! Fabulous! And your son's snowman pjs!! Darling!! Love! Looks like a fun weekend ahead! Stripes & leopard are a great mix! You have such pretty clothes. I love your new red plaid!! Hello from the 5 on Friday link-up...Your kiddos in plaid are absolutely adorable! I have also been loving navy/stripes/leopard lately. Very cute outfit! Ooooh! LOVE that plaid shirt!!!! Like REALLY REALLY Love it! And Nixon in the back of your pic is too cute! I also love red plaid! Super cute! Your family is just precious! I just love stripes and leopard! It's become a combo that I wear weekly now! We also donated our candy to the soldiers last year...it's such an awesome program. Happy Friday! Little man in the background cracked me up! Reminds me of my son! Very cute look! Love your pinspired outfit! So cute. Thanks for linking up with us! 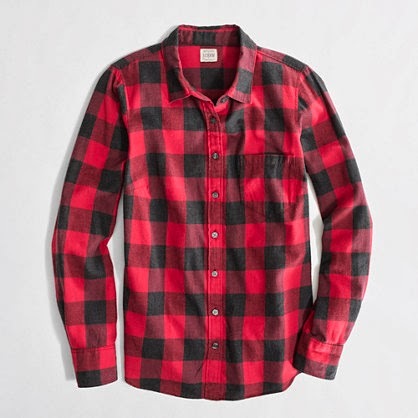 And, I also LOVE red/black plaid, just bought Luke a shirt like that at Old Navy a few weeks ago!